Van Der Meulen's Fine Finisher's was founded in 1988 by Gordon Van Der Meulen. Gordon took an early retirement from Baker Furniture and started the company on the concept that exceptional talent creates its own demand. Gordon began his career with Baker back in 1949. Gordon's son, Rick Van Der Meulen, joined his father with the company in 1991; Rick's career with Baker Furniture began in 1972. Today, the tradition of family pride and excellence in craftsmanship now continues into a third generation with Rick’s daughter Alicia. Alicia has worked in the business now for over 20 years, and in 2014 was promoted to COO. Alicia is the future of Van Der Meulen’s and will continue the tradition of excellence for many, many years. Our company custom finishes all types of furniture designed for residential and commercial use, including furniture manufactured for the contract market. 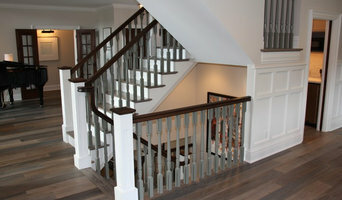 Our company also finishes custom woodworking, cupboards, and cabinets, produced by mill workers and cabinet shops. Van Der Meulen's can bring back the original beauty in your furniture. We love fabric and we love happy customers! We are dedicated to helping you find the perfect fabric for your project. The Upholstery Shop in Holland Michigan specializes in custom upholstery services, antique furniture restoration and custom window treatment installations. 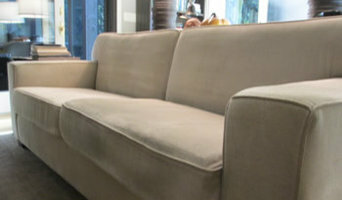 We repair and recover home furniture, office furniture, boat and RV upholstery. We are skilled at all types of furniture repair including gluing loose joints, strengthening frames, retying springs, tightening wobbly arms, replacing worn padding, and refinishing wood. Then when the furniture structure is solid we top it off with a beautiful, updated, upholstery fabric covering to make your furniture look and perform like new again. The Upholstery Shop will come to your home or business to measure and install high quality window treatments from Hunter Douglas, the industry's leading manufacturer of custom-made window fashions. We can install mini blinds, custom valences, shutters and other window fashions that will give your room a great new look. So if that old sofa is looking a bit worn or your windows need a fresh update stop by and take a look at our huge selection of fabrics and our innovative design ideas. We are licensed, insured and provide pickup and delivery of your items. Just call today for a free estimate. Designs On Main is owned by Gerri Handley and is located in Kalamazoo, Michigan. Specializing in custom window treatments, upholstery, and slipcovers while providing room make-over services establishes Designs On Main as a great resource for customers seeking original ideas for their home or office. With an eye for creativity and dedication to excellence - you can rest assured that your project is in good hands with Designs On Main. Designs On Main offers a fresh perspective to every project. Your home or office could be so much more than just a place to hang your hat -- with attention to detail, and enthusiasm for new ideas, we take pride in transforming your projects into show pieces. With over a decade of experience and a wide range of diverse projects, Designs On Main is ready to transform homes and offices in Southwest Michigan and the greater Kalamazoo area. Because there's no place like your home ... we'll make you want to click your heels! If you would like to revitalize your living space, make an appointment with Gerri today by calling 269-876-2547. We have a full service shop including the three "R"z. Repair + Refinish + Re-Upholster! We take that "outdated" ugly furniture and make so it's not. 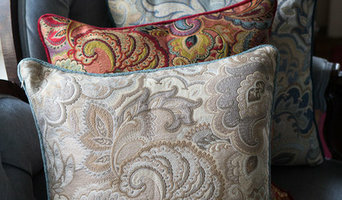 Make the wood beautiful, or upholster newest latest fabrics available. Also includes our complete service "welding shop" when dealing with steel. Our forward moving company is labeling ourselves as "Furniture Re-manufacturing" company. 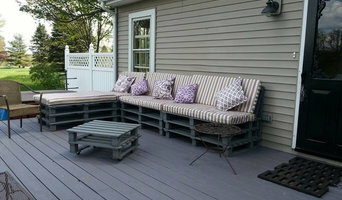 Also if you see a designed piece of furniture that you love, send us the picture and we can build it for you! I own and operate a sewing and upholstery shop with 21 years experience. We fabricate home/commercial/marine/ prototype development and health care upholstered and sewn products. Re-upholstery/upholstery repair includes redoing/outfitting items like chairs and sofas with springs, padding and fabric coverings. This can also include adding fringe, piping, tufting or additional decorative elements to a furniture piece. They can also advise you about the pros and cons of different fabrics so you can choose the best type for the project in your Holland home. Find Holland furniture repair professionals on Houzz. 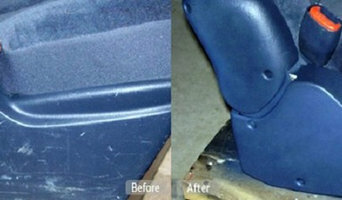 Narrow your search in the Professionals section of the website to Holland, MI furniture repair.